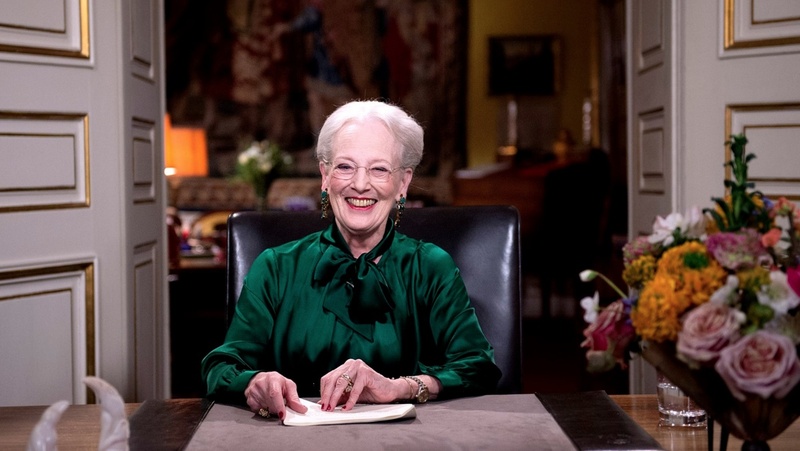 On the evening of December 31, 2016, Her Majesty Queen Margrethe II of Denmark delivered her traditional New Year’s speech live from Amalienborg Slot in Copenhagen, Denmark. Click here to watch Her Majesty’s speech. “Right now only a few hours remain of the old year, 2016. Very soon we will write 2017 – a new year with new opportunities, but also with the tasks and problems we did not manage to complete or solve in the old year. Writing 2017 instead of 2016 will not make our concerns disappear. During the past year, we have witnessed terrorist attacks that have filled us with fear and horror. But we have learnt that we must not allow ourselves to be paralyzed by fear. Life must go on. We must persevere and not lose heart. What does it mean to be Danish? Do we need to be Danish? Does nationality play any role at all in modern industrialized global society? Previous (VIDEO) A New Year’s Message from His Majesty King Harald V of Norway. Next (VIDEO) Drottningholms Slott: Ett Kungligt Hem.